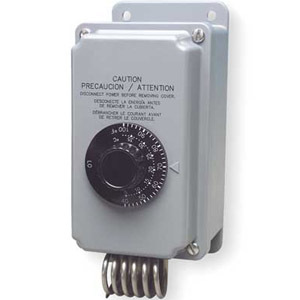 Weatherproof enclosure with 5 ft. remote bulb sensor. Adjustable temp 0F to 120F, and is suitable for 24 VAC operation. 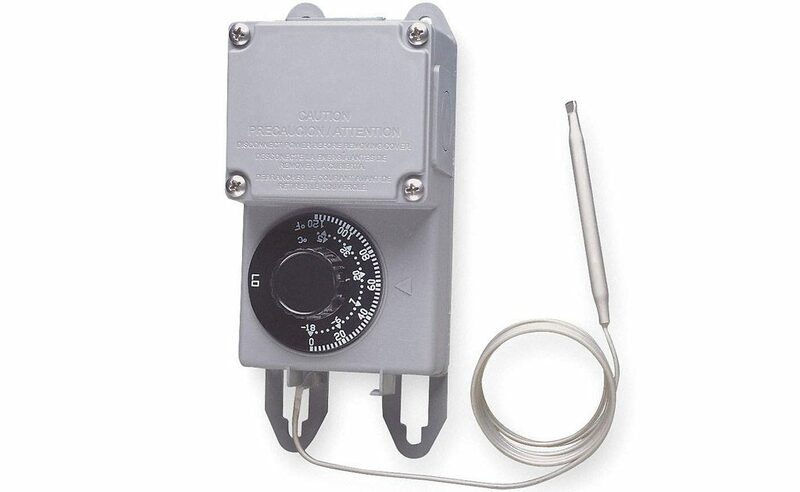 TRF115-005 40486 Freeze protection thermostat, weatherproof with 5 ft. remote bulb, 25 amp at 120/208/240V, 22 amp at 277V, adjustable temp 0°F, suitable for 24 VAC operation 1.5 lbs. 4-wire SPDT heat/cool. 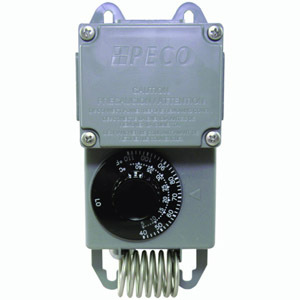 Rugged, weatherproof mechanical thermostat for controlling refrigeration, industrial heating/cooling/ventilation systems. 3-wire SPDT heat/cool. 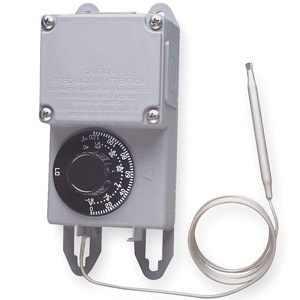 Rugged, weatherproof mechanical thermostat for controlling refrigeration, industrial heating/cooling/ventilation systems.